The throw uses 4 colours to create a simple, but effective flower motif in a hexagon shape. 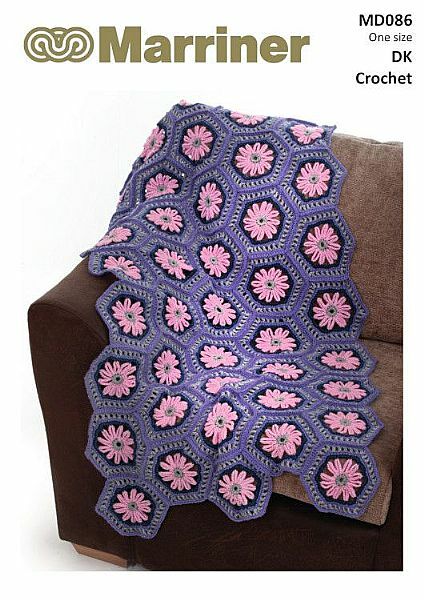 This was made with our DK with Wool range in the colours silver, blueberry, ink and blossom. 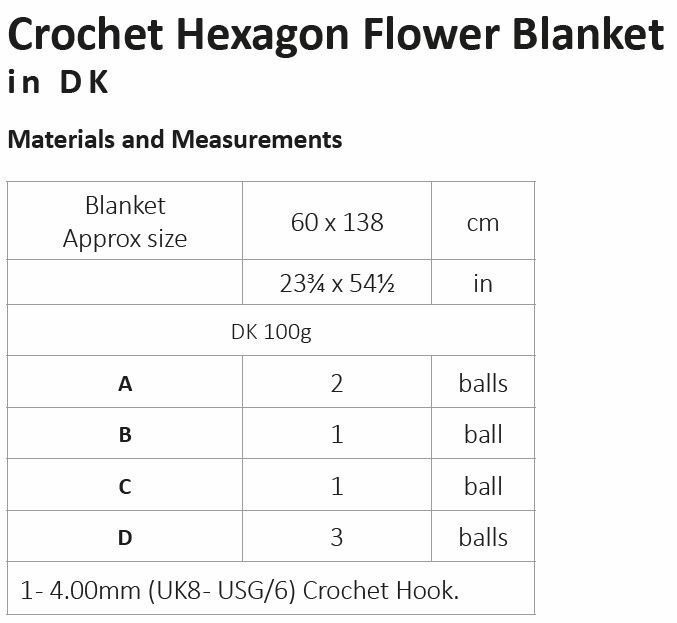 Hooks required 1 - 4.00mm (UK8 - USG/6) Crochet Hook.